Cardinal Dulles Remembered by Elizabeth Johnson, C.S.J. - Find Your LL.M. The words of renowned theologian Avery Cardinal Dulles, S.J., continue to inspire a generation of religion scholars. And it was conflict and dialogue among theologians that resulted in some of his important work. 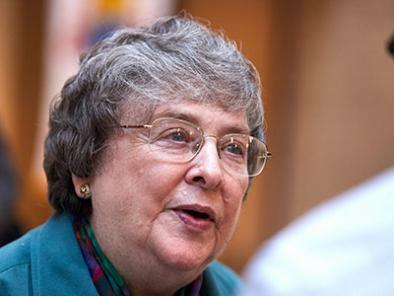 Elizabeth Johnson, C.S.J., a long-time colleague to Dulles, the first American Jesuit ever to be named a cardinal, delivered a keynote on the “fluency of interpretation” of his thought at Dulles at 100, a recent celebration of his work and legacy at Fordham. She began with Models of the Church, a book Cardinal Dulles wrote in 1974, after the Second Vatican Council, when conflict began to swirl among theologians as they debated different understandings of the church.